We were pleased to welcome Professor Josef Strobl who visited us from the University of Salzburg this week to discuss opportunities for collaboration. Professor Josef Strobl is Head of the Department of GeoInformatics at the University of Salzburg, Austria. 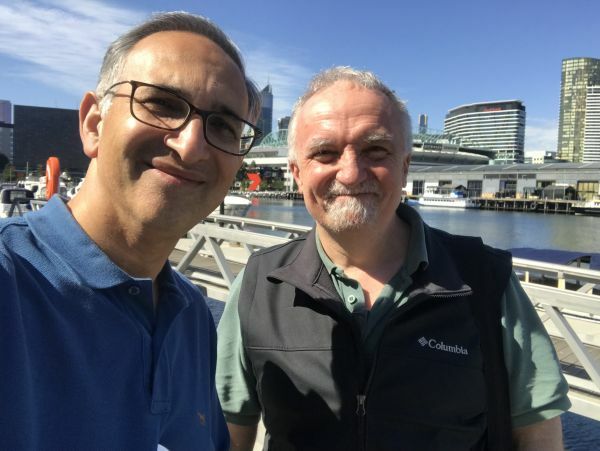 Professor Abbas Rajabifard was pleased to receive a visit from Professor Strobl this week to discuss what research areas CDMPS and CSDILA could more closely collaborate on with the University of Salzburg. CSDILA is currently hosting PhD candidate Laura Knoth who is visiting from the University of Salzburg. Laura is investigating 3D Urban Land Administration and BIM as part of this collaboration.